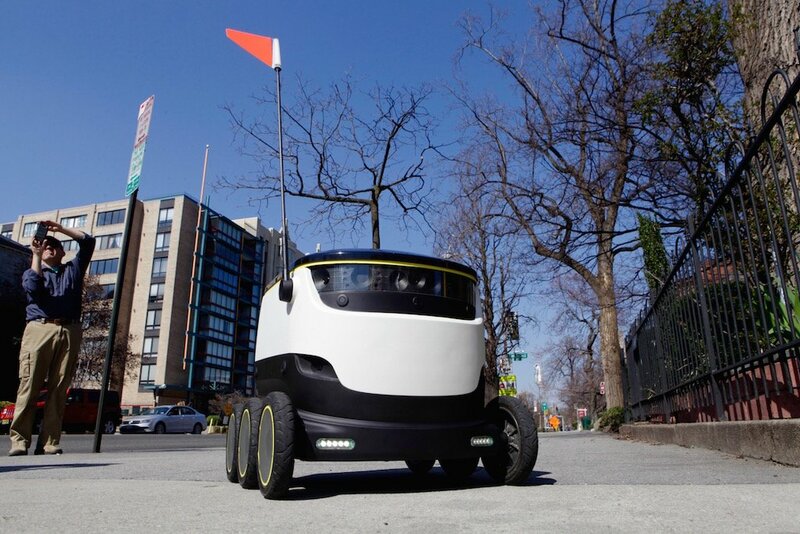 A small fleet of delivery robots—think beer cooler meets Wall-E—will start roaming the streets of DC this fall. 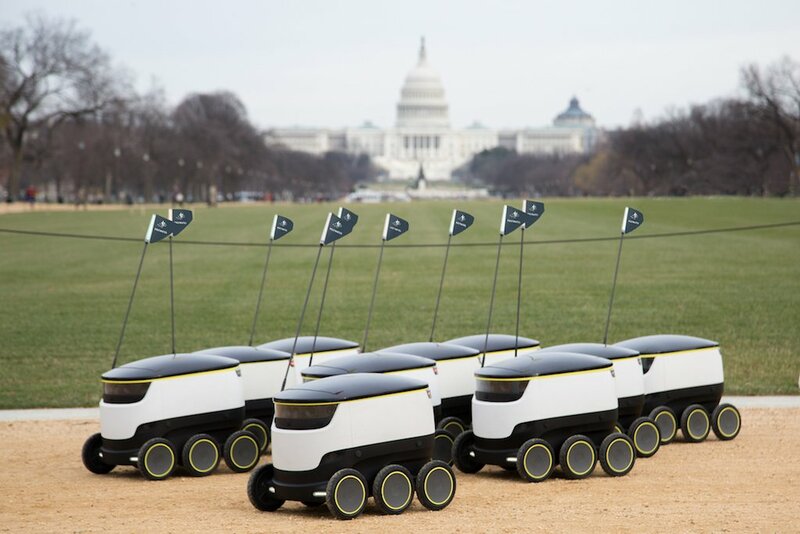 Starship Technologies has already been testing its autonomous bots in Britain, Germany, and Switzerland, but DC will be the first pilot city in the US. In fact, in June, the District passed special legislation—the Personal Delivery Device Pilot Act of 2016—to allow these six-wheeled devices on public sidewalks and crosswalks. Per the act, only five robots will operate here. Starship is still figuring out which neighborhoods will be best to launch in. The robots will deliver food, groceries, and other parcels within 15 to 30 minutes for a $1 to $3 fee. Starship is partnering with existing delivery companies, although Harris-Burland couldn’t reveal which ones just yet. Upon online checkout, users will be able to select if they want robot delivery. From there, the robots will leave a hub where they live and travel to a grocery store or restaurant. (If the business has stairs, then the staff would have to go outside to meet the robot. It can, however, handle curbs up to 20 centimeters tall.) Someone would then put the delivery (up to 20 pounds) inside the robot’s secure compartment, and it would travel at no more than four miles per hour to its destination. The robots have nine cameras, GPS, and obstacle detection so they don’t bump into anything. While the robots rove around on their own, they do have some human oversight. A remote overseer can help the robots in case they get into trouble and make decisions for them if need be. “In the long run, it would be one human for a hundred robots,” Harris-Burland says. In the short run, humans are helping the robots with road crossings, which are the most dangerous part of the journey. The robots also have two-way audio, so they can talk and listen to people around them. That means, for example, if they need someone to push the button for a walk light, they can ask someone nearby. Interestingly, the Starship team has found that 65 to 70 percent of people that encounter the robots just ignore them. Then again, they’ve also seen kids try to feed one a banana. 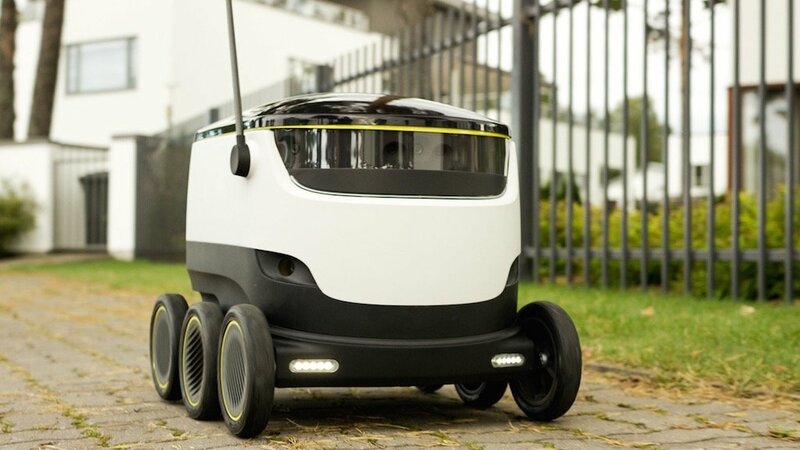 And so far, of the 1.3 million people who have come in contact with the robots in cities around the world, no one has tried to steal the deliveries. To prevent theft, the delivery compartments are locked until they arrive at their destination. If someone does try to pick up a robot, an alarm goes off. Plus, Starship brags it can track the robots to the nearest inch. “If you put it in your car, we’re going to know where you are,” Harris-Burland says. In the future, Startship is interested in using the robots to reach food deserts as well as people who are disabled or elderly. The company envisions there will be thousands of these drone alternatives in cities around the world; robot deliveries will be the norm. Do you want your food delivered by a robot? Are you scared of robot-delivered food? Share this story!